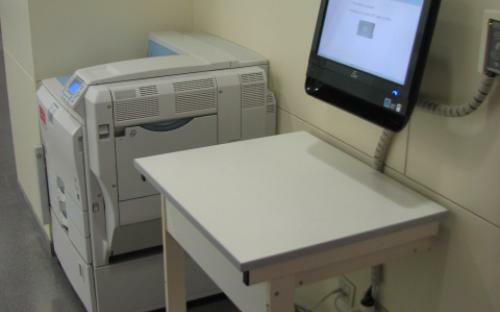 Using this service, students may send their documents a printing point where they will only be printed at the student’s presence. This auto service identifies the student by reading their student card using a proximity sensor. It also has a 100% rate of successfully received documents and reduces unnecessary paper wastage. Students at the FIB have number of free copies per month. Before this service started to work the students had to wait for the release of their printed documents every half hour and because of this, many students used to forget to collect their copies. Using the auto service allows students to collect their copies instantly and prevents them from leaving the copies to waste, saving so a large amount of paper. 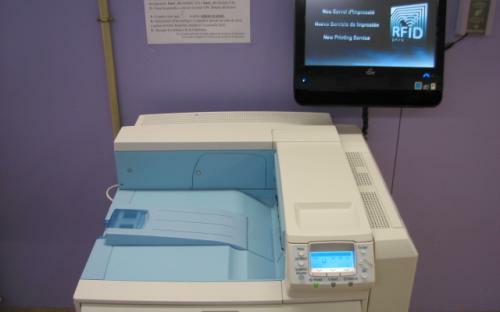 Every auto service printing point is equipped with a touchscreen computer and a printer. 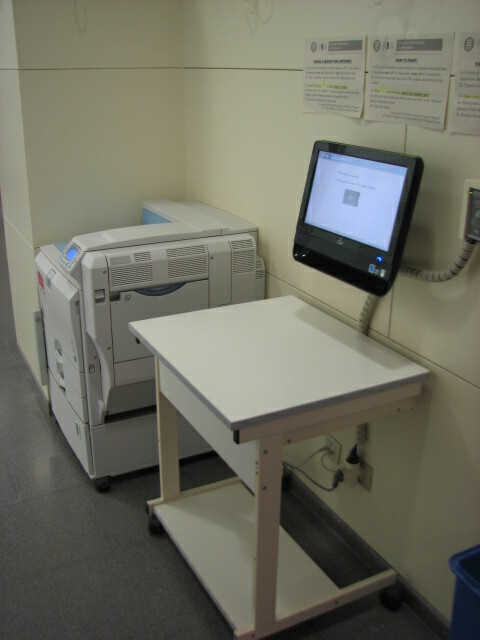 When a student sends a document from any computer at the school, the document is stored at their personal printing queue. 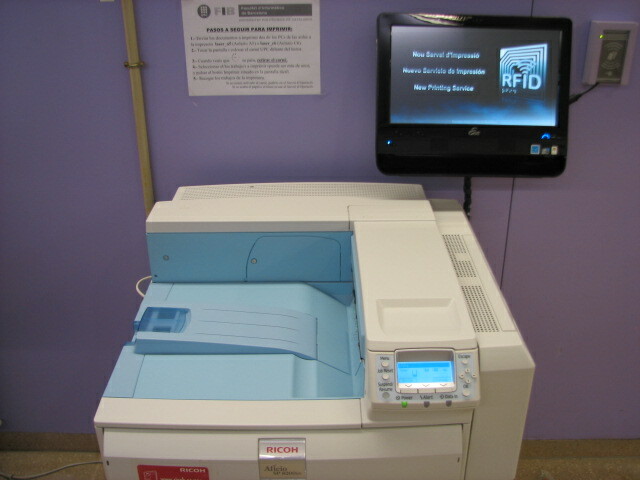 At a printing point the system identifies the student by reading their card with a RFID reader. If successfully identified, the student may select what documents he or she wants to print. The documents will be printed immediately. Documents are printed instantly. Without the auto service system users had to wait for the release of copies every half four. Reduction of the wastage of paper. Many users often did not collect their copies.